Dubai June 2015. 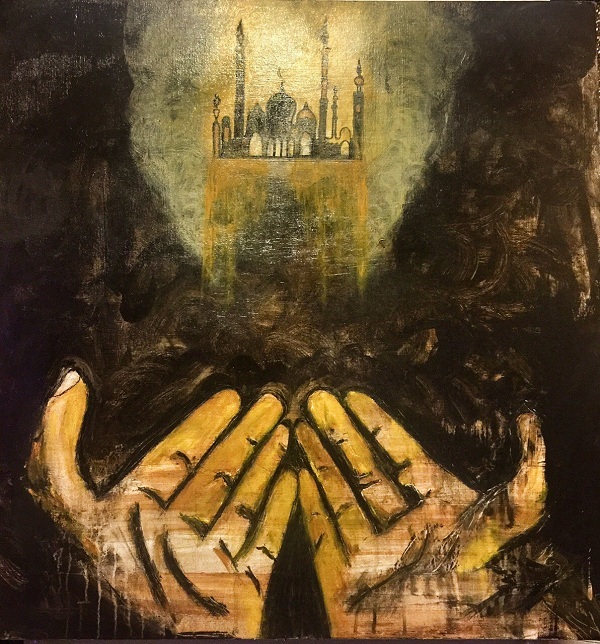 Suzi Nassif has an art exhibit scheduled during Ramadan, it will be an opportunity to indulge in transcendent and spiritual thoughts. Dubai Marina Mall is holding a 30 day exhibition starting from 20th June to 20th July. Famous artists from Lebanon and Brazil and our very famous artist Suzi F. Nassif will also be exhibiting her work on this exhibition. Ramadan is not only about abstaining from eating and drinking during the light hours. It has more to do with purifying your soul. It is all about focusing on our creator and asking for his blessings. It awakens our spirituality and invites us to find ourselves from within. Abstract Art is the highest form of painting and the most immaculate painting technique adopted by artists of expressing on canvas. Suzi F. Nassif will use acrylic medium to combine spirituality with abstract painting technique to bring out spiritual paintings on canvas. The acrylic paintings are durable and therefore are most favorite medium of artists. In her Ramadan special art work, Suzi will take you on a spiritual journey that will be a journey to self-discovery. Her spiritual paintings are centered towards prayer postures and other forms of praying. The blessings of this month can be enjoyed even more by having a look at the paintings and indulging in the spirituality of the paintings that are bound to affect you positively. So, do not miss out on this wonderful experience and get spiritually enlightened. Suzi F. Nassif exhibition is surely going to set you on a new spiritual journey through her Ramadan special art work.